To measure for any type of blind you firstly need to have the correct tool - a good quality metal tape measure to ensure that the sizes are completely accurate. If you attempt to use an alternative it will not give you the correct sizes. 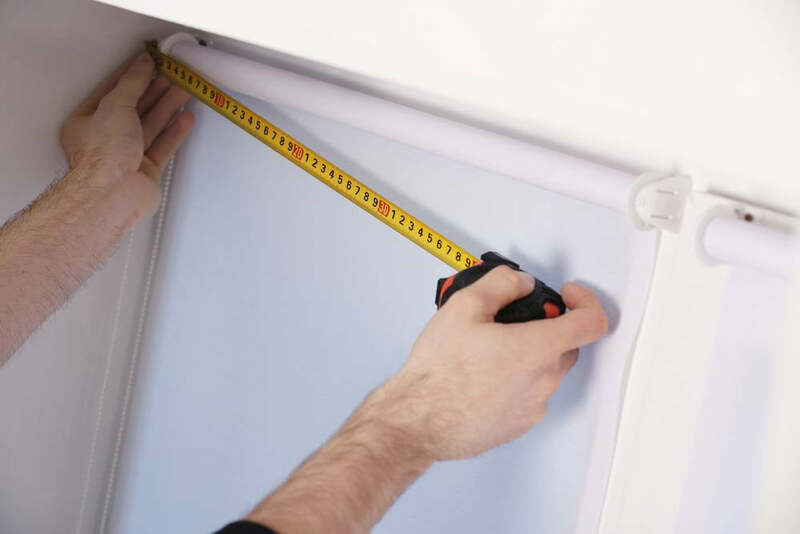 Measurements can be done in either centimetres or inches. The term recess that will be used in this article refers to the inset size of the window from wall to wall, top to bottom. There are two ways that a blind can fit onto a window - inside or outside the recess, this applies to all styles of blinds. This is a personnel preference and will differ the look of the blind at the window. Inside means you can take the blind far back still allowing you to use your window sill when the blind is in a closed position. Vertical and venetian blinds generally need to be fitted inside as it gives a neater finish and at times the depth of the brackets means the blind can protrude out more than necessary when on the outside. Roman and roller blinds can be fitted either in or out. If you choose outside, the window sill will be lost when the blind is in the down position but you can achieve the look of the window being dressed especially with a roman blind as it can be similar to having a pelmet across the top. Also you can give the window the illusion of being taller as you can fit the blind higher meaning that when it is in the up position it just covers the top of the window recess. If you choose to fit the blind inside the recess you need to measure the window in 3 places. First the width top, middle and bottom then the drop left, centre and right. The size that you require is always the narrowest point. This is very important as all windows can be out slightly. For example the width may measure 45cm top but 40cm bottom. So the blind would have to be ordered as a 40cm recess width. The same applies for the drop. If you were to order it by choosing the wider size the blind would not fit into the window. You may have tiles that only come half way up the window, if so you need to measure in between these. This is important as the top measurement would not enable the blind to drop any further past the tiles. To measure for a blind on the outside you need to go past the recess width by approximately 2-3 inches. Alternatively if you have a window sill that protrudes out on either side it is best to follow the width of this to give the neatest look. The drop does not want to come any further below the window sill by more than a 1-2 inches. 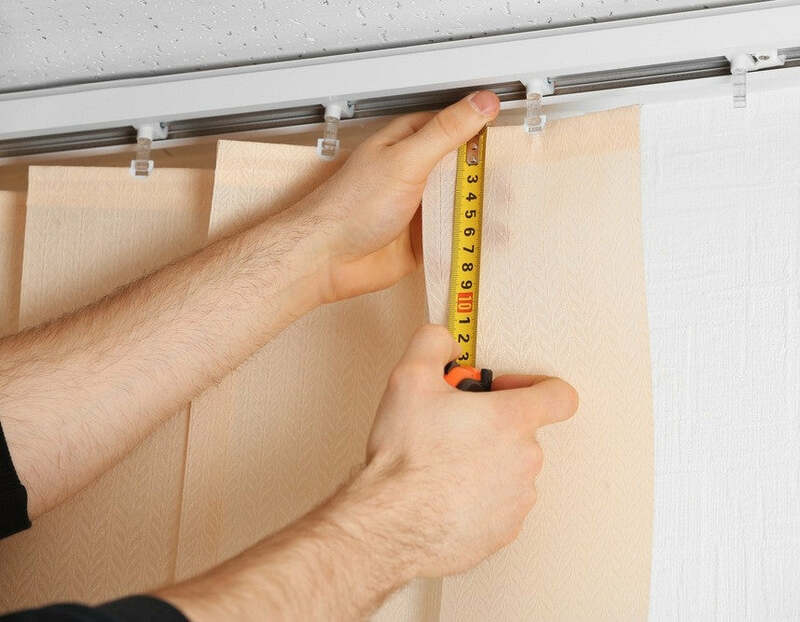 For a roman blind measure approximately 4-5 inches above the recess height as you do not want to block too much light from your window. Roller blinds, verticals and venetians go just slightly above the recess height. As mentioned before verticals and venetians are best fitted inside the recess if it is possible to.